If you’ve been waiting for the perfect moment to take a trip to Canada, now is the time to book. The exchange rate for the Canadian dollar—also known as the “loonie”—is hovering right around 70 cents to the U.S. Dollar—a 13-year low, which gives Americans about a 30 percent discount on Canadian prices. So, not only does that mean that airfares to the region will likely drop, but also steep prices for luxury excursions (think whale-watching, scenic helicopter rides, trains through the Rocky Mountains) could see a significant decline. As if the news about Canadian national parks being completely fee-free in 2017 weren't exciting enough! From coast to coast, there's ample opportunity for every kind of traveler to explore the north. Indulge in fine dining and luxury accommodations in cities like Toronto and Montreal; wilderness expeditions and whale-watching from Vancouver to Nova Scotia; ice skating in Quebec City; skiing on some of the world’s best powder at esteemed resorts in Whistler and Banff; feasting on seaside oysters on Prince Edward Island; traversing the vast Canadian Rocky Mountain range by train—the list goes on and on. 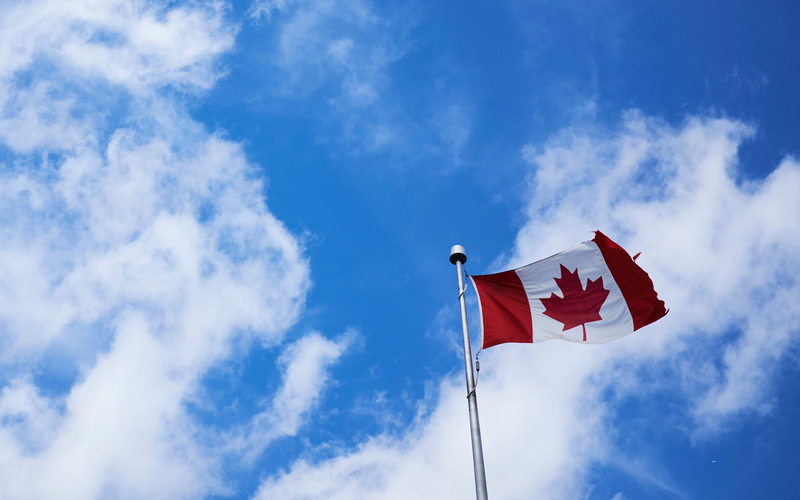 Canada is the second largest country in the world, so it’s no surprise that travelers have the opportunity to engage in a host of incredible experiences, from culinary exploration, to up-close encounters with nature, to vibrant cultural festivals. So when is the best time to go? Those looking to cash in on some snow sport activities should cross the border while the powder is still fresh, but the combination of the weakened dollar and cheap gas prices bodes well for summer travel—especially a shore-to-shore road trip. The takeaway: Americans, go ahead and confirm that reservation. And Canadians, get ready for what could be a major influx of tourists in the coming months. Canada is arguably one of the best places in the world to spot the Northern Lights—specifically in the Yukon Territory, where the Aurora Borealis swirls high above from August through mid-April. If skies are clear and there is little light pollution, it’s possible to watch the dancing neon yellows and greens for hours. After spending time out in the cold observing this natural phenomenon, snuggle in at the Northern Lights Resort & Spa for a relaxing massage. If you seek adventure and up-close encounters with nature, you’ll want to see the polar bears in Churchill. The province of Manitoba is the most accessible location that guarantees sightings—and visitors can often catch a glimpse of the Northern Lights here, too. A stay just outside of Churchill at the NHA’s roller sleep train Tundra Lodge ensures the ability to observe the animals in their natural habitat—the cold and icy Canadian tundra itself. A visit to Montreal is a must for every type of traveler. 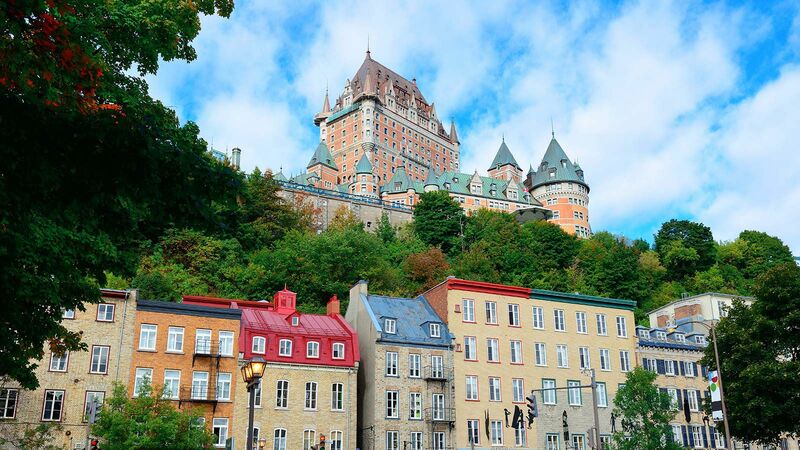 The perfect combination of English and French influences, this city is bursting with a rich cultural history—as well as some of the best hotels, restaurants, and sights to see in Canada. Treat yourself to lunch at one of Montreal’s most famous dining experiences, Le Club Chasse et Pêche (the hunting and fishing club), where guests feast on some of the city's finest fare—starters include the likes of boar with lobster ravioli, salsify, and pearl onions; while the dinner menu features dishes like king salmon with sunchokes and suckling pig with fingerling potatoes. For those interested in top-notch skiing or incredible outdoor experiences, Banff is the place to be. Tuck into the luxury Fairmont Banff Springs, which combines a French château feel with Scottish castle turrets soaring above the spruce trees. If you opt to visit Banff National Park in the summer, take the leap and try skydiving—aerial views of the park are breathtaking, and it’s a once-in-a-lifetime experience that will now likely come at a reduced cost thanks to the favorable exchange rate. Toronto is Canada’s most culturally diverse city—which makes it the perfect hub for a culinary vacation. Sit for dinner at one of the premier farm-to-table restaurants, The Black Hoof, whose menu features everything from bone marrow to pig’s ear slaw to coppa cavatelli. If you’re in the mood for shopping, swing by the Monkey’s Paw in Little Portugal—an antiquarian bookstore filled with rare reads. Home to nearly 40 beautiful vineyard estates, as well as organic farms and sandy beaches, Prince Edward County on the shores of Lake Ontario is a wine-lover's perfect weekend trip. Though this area is up-and-coming in comparison to Napa, Burgundy, and the likes, beat the crowds to Hubbs Creek, Hinterlands Wine Co., and Norman Hardie Winery to get ahead of the curve. Skiing in Whistler is a classic Canadian experience. After a day one the slopes, check out Garibaldi Lift Company, where “après is considered an art form,” and the menu is comprised of hearty grill fare, like hamburgers and poutine. Prince Edward Island and Nova Scotia offer some of the most breathtaking eastern coastal views in all of Canada. A road trip is sure to satisfy anyone looking to eat fresh seafood and breathe crisp ocean air. In Lunenberg, award-winning Fleur de Sel has curated a menu chock-full of fresh coastal seafood. It’s well worth a stop for oysters, smoked salmon, and local tuna. For those who are fans of Anne of Green Gables, check-in at the Inn at Bay Fortune on Prince Edward Island, owned by the late actress Colleen Dewhurst who played Anne’s foster mother on the TV show. The inn’s garden is filled with an impressive bounty of greens and fresh veggies, which you’ll likely spot in your salad at dinner. Surrounded by some of the Pacific Northwest’s most dramatic natural beauty, Vancouver offers visitors myriad opportunities for outdoor adventures, in addition to cultural immersion through progressive galleries, museums, hotels, and restaurants. Feasting on fresh seafood in the city is a must. Head to Blue Water Café, where the eats are delivered daily and the dishes channel traditional Japanese preparation: think fresh Nigiri, Sashimi, and barbeque eel. Topping the list of things to see and do in the Pacific Northwest is whale-watching—Orca sighting, specifically. The small island called Robson Bight in British Colombia is a premiere Orca-spotting destination. The on-site Ecological Reserve provides the highest level of protection for the natural plant and animal species on this island—and is a peaceful sanctuary for killer whales. Want to get up close and personal with the creatures? Wildcoast offers four-to-seven day killer whale watching kayak tours in the summer. Quebec City is one of the oldest in North America, and remains a cultural hub of French-Canada. The Old Town was named a UNESCO World Heritage site in 1985, and the walled city continues to charm visitors. Amble along cobblestone streets, take in beautiful views of the St. Lawrence River, and enjoy a trendy shopping and culinary scene. The best thing to do: walk, eat, and drink—and eat some more. For drinks, pop into the bar at the Frontenac, and for lunch head to Chez Boulay, which features a menu that changes with the season. For dinner, it’s Légende: think monkfish prepared just so, fresh foie gras, and guinea fowl with oyster mushrooms. From the northeast coast of Newfoundland, it's a one-hour boat ride out to Fogo Island, where striking coastal landscape and fascinating Canadian wildlife is drawing travelers from near and far. Visit in August to catch the Brimstone Head Folk Festival, and annual event, which brings together local artists to foster interest in Newfoundland music and dance. For lodging and local fare, head to the stylish Fogo Island Inn, conceived by local islander Zita Cobb, featuring luxury suites and an award-winning dining room. If Canada is known for one thing, it's the country's abundance of fascinating wildlife that can be seen in its natural habitat. 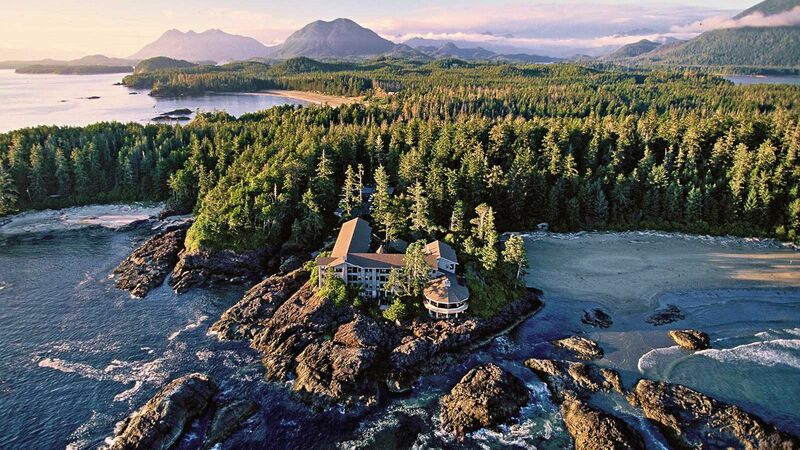 A good way to taken advantage of a favorable exchange rate is booking an expensive wilderness tour, through a company like Clayoquot Wilderness Resort which provides travelers with a luxury exploration experience. Think hikes through old growth forests, nights in big white tents under the expansive night sky, surfing, river kayaking, and much more. Seeing the world from above is a unique (although often expensive) experience. One of Canada's biggest attractions, Niagara Falls, is even more fantastic and breathtaking from above. Opt to book a helicopter tour with a company, like Niagara Helicopters, for a thrilling and memorable experience—and a plus: you won't have to deal with the crowds. Traveling by train through the breathtaking countryside of Canada is one of the most timeless ways to experience the region's vibrant scenery. Train trips through the Rockies can get pricey, so now is the time to book. Companies like Rocky Mountaineer offer a handful of different routes through the mountains, and train conductors are known for slowing down when wildlife, like bald ealges, are spotted along the route. Romantic Travel: Overhyped or Underrated?